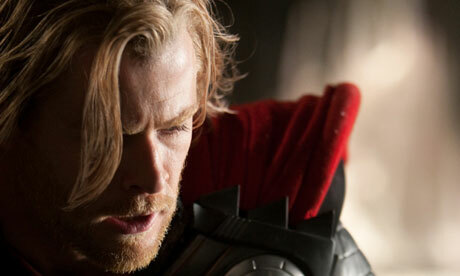 'Thor' spans the Marvel Universe from present day Earth to the realm of Asgard. At the center of the story is the mighty Thor (Chris Hemsworth), a powerful but arrogant warrior whose reckless actions reignite an ancient war. Thor is cast down to Earth by his father Odin (Anthony Hopkins) and is forced to live among humans. A beautiful, young scientist, Jane Foster (Natalie Portman), has a profound effect on Thor, as she ultimately becomes his first love. It’s while here on Earth that Thor learns what it takes to be a true hero when the most dangerous villain of his world sends the darkest forces of Asgard to invade Earth.